Hire a qualified, experienced contractor who stands behind their work! 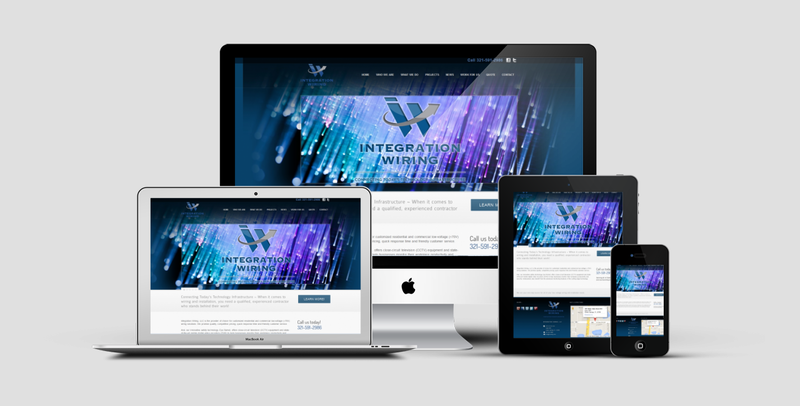 Integration Wiring is proud to announce the launch of our new website! We’ve created this with you, the client, in mind. We hope you find it easy to navigate and user-friendly. One of our newest features in an online “Quote” option. This tool allows you to acquire an estimate without having to pick up the phone! We are now more social than ever. Connecting is only one simple click away! Our Facebook, Twitter, and LinkedIn icons can be found at the top and bottom of each page. Finally, we invite you to explore our site to learn more information about our products and projects. Also, feel free to leave a comment or email us with any questions or concerns regarding our new website layout. Integration Wiring provides low-voltage wiring (under 70V) services. We handle a variety of residential and commercial projects, including: Data/Patch Panel, CCTV, Burglar Alarm, Fire Alarm, Audio/Video, and Conference Room. We always meet our, and YOUR, deadlines! Integration Wiring always implements the latest technology, and has even leaped ahead of many of our industry competitors by contributing the innovative Eye Remot technology as a new means of monitoring safety and productivity in private residences and commercial establishments. For more information on Integration Wiring’s products and services, visit our services page. We are your one-stop-source for all of your low voltage wiring and installation needs.